One of film’s greats died yesterday. 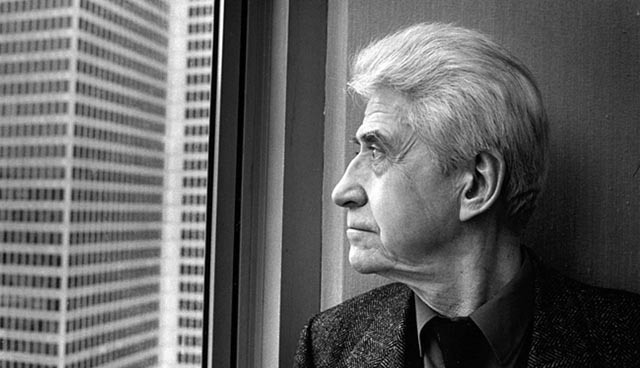 Alain Resnais‘ career initially paralleled the French New Wave (his first feature was released the same year as Truffaut’s The 400 Blows and a year before Godard’s Breathless), but the tone of his work went against that initial burst of “realism”. Hiroshima, Mon Amour (1959) and Last Year At Marienbad (1961) were bold achievements which melded avant-garde literary techniques into a radical form of cinematic expression (the former was written by Marguerite Duras, the latter by Alain Robbe-Grillet). 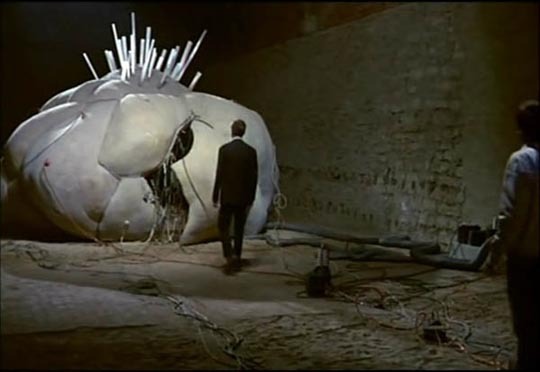 And both established the lasting theme of Resnais’ career: the fragility and mutability of memory and how that affects the ways in which we construct our sense of the world. His third feature, Muriel (1963), made in the immediate aftermath of France’s brutal war against Algerian liberation, is an incisive dissection of the psychological impact on the bourgeoisie of guilt for the atrocities the French had committed for years in North Africa. Where Godard turned the politics of that time into an effective American-style B-movie in Le Petit Soldat (1963), Resnais anatomized the personal and social moral costs of colonialism. Throughout his career, Resnais pursued an almost anthropological investigation of bourgeois behaviour, often working repeatedly with the same writers (Jorge Semprun twice; Jean Gruault, a favourite of Truffaut’s, three times; the British playwright Alan Ayckbourn twice). He quite often drew his work from the theatre, retaining theatricality at the same time that he transformed it through expressive cinematic techniques. In Melo (1986), he took a creaky old melodrama from 1929 about marital infidelity, attempted murder and suicide, and transformed it into a rich exploration of genuine emotional states, investing the cliches with a renewed validity. Although once widely distributed, when North American theatres were far more open to foreign (and “difficult”) films, it became harder to see each new Resnais film, at least where I live. And apart from the prominent early features, his work hasn’t been very easily accessible on disk. But the one which I really wish someone would bring out (what’s up, Criterion?) is Je t’aime je t’aime (1968), which I saw only once in the early ’70s and still have haunting memories of four decades later. In those memories, it seems reminiscent of Chris Marker’s La Jetee, using the tropes of time travel to dig into memory and the layers of emotion which shape and sustain it. Like Jacques Rivette, Alain Resnais was a more complex filmmaker than the more popular nouvelle vague directors (Godard, Truffaut, Malle), but in the end that’s what makes his work more valuable than the better known successes; you might not be as entertained by a Resnais film, but it’ll work its way more deeply into you and last longer. This entry was posted in Obituary and tagged Directors, French Film, Obituary. Bookmark the permalink.